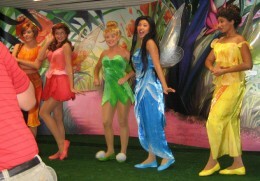 Tinker Bell and her Pixie Hollow Fairies made a very brief appearance at a media event this morning. I was only able to get this poor shot. Sorry about that. Hopefully, we’ll get a better view in the coming days.All I could think was “thank god they don’t have those freaky masks like the Fairies in ‘Light Magic’ did.” As you can see, this might become one of Daddy’s favorite attractions at the parks. “Tinker Bell,” Disney’s most famous fairy and four of her best friends will debut in a meet-and-greet experience in Mickey’s Toontown Fair at Magic Kingdom. The Pixie Hollow attraction is scheduled to open October 24th at Walt Disney World. Disneyland will get a slightly different version (it’s outdoor for one) that should open by early November. 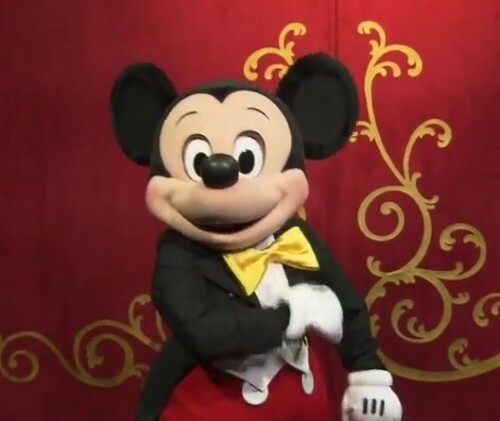 The guest experience will be more than just the meet and greet. A magical forest will gradually shrink guests down to fairy size as they enter Pixie Hollow. As guests hear Tinker Bell speak for the first time, they also are sure to meet one or more of her fairy friends. 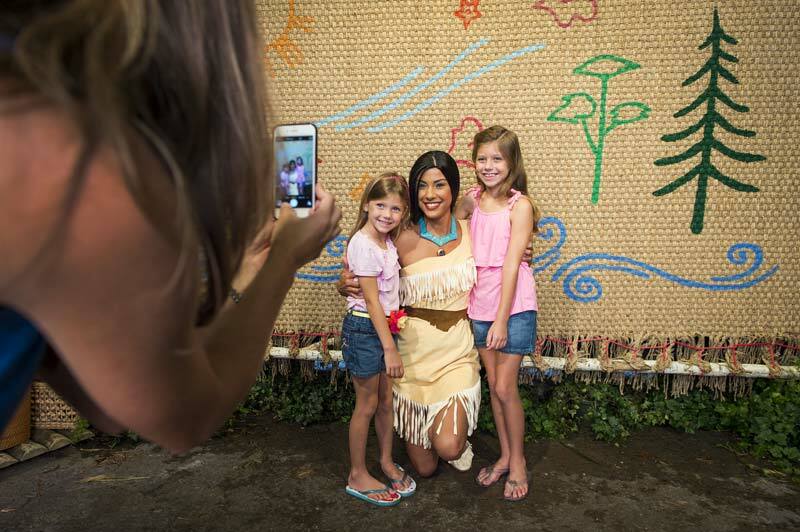 Additionally there will be storytelling and other interactive experiences for guests. 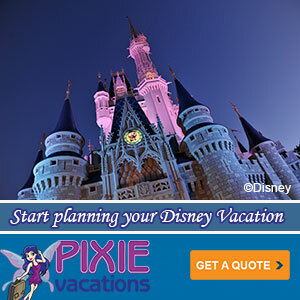 Learn more about the Disney Fairies at DisneyFairies.com. I’ve also included two earlier press photos below the cut.